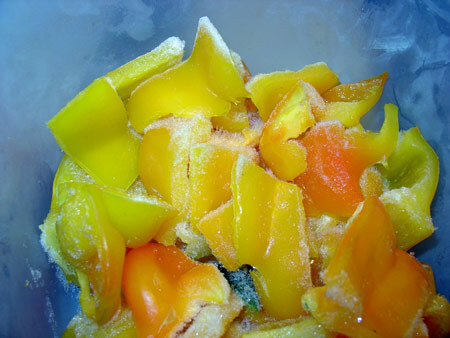 This last week I’ve been busy filling my freezer with bell peppers. 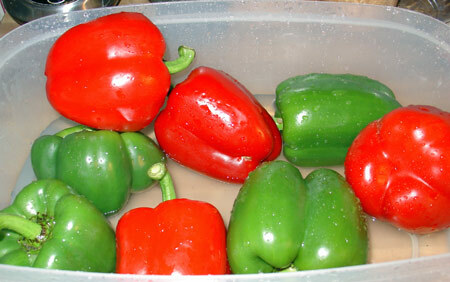 It seems a lot of the dishes I like best have bell peppers in them – Italian, Curries, Mexican – like fajitas, and Cajun. Yes, I like spicy food! I get so tired of paying over $1.00 each for bell peppers, and who can afford a red bell pepper for $2.59? That’s how high I saw them last winter. The local farmer’s markets recently had a lot of bell peppers 2/$1, and the beautiful colored peppers 3/$2. I grabbed a bunch. Kroger in the Southeast has them for .59 cents each now as well, if you don’t have access to a farmer’s market or need to be able to pay with food stamps. 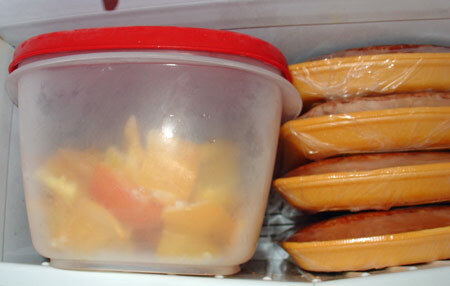 They are actually very easy to store and freeze, and I find it not only more economical, but also a good time saver. It’s so nice to just be able to reach in and get what I need, pre-cut, and ready! That’s why I cut my peppers in a variety of shapes. Some I dice, some I cut in long strips, and others I cut in bigger square chunks. Select large, unblemished peppers at the lowest price you can find. Late September, early October is a great time to buy them. 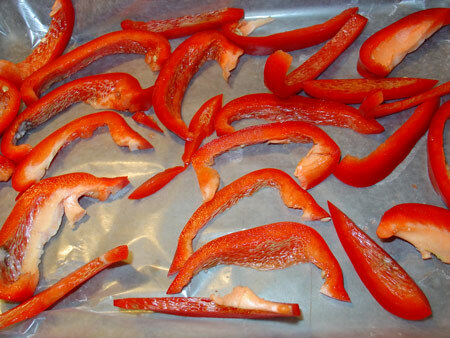 Then pat them dry with a paper towel and cut them in shapes that you cook with. Lay them in a single layer in a shallow pan or on a cooking sheet. I use wax paper to line mine. Then simply place in the freezer for an hour or two. Take them out, and place them in a resealable container. I use the Rubbermaid Easy Find Lids. That’s really all there is to it. Now when you’re ready to cook, just open your container and take what you need. Freezing them this way keeps them all separate so they don’t clump up. They taste great in cooked food and are a real timesaver. Over the winter, we’ll save a lot by having a good supply of bell peppers in the freezer, so we don’t have to pay twice or more when we need one. The only exception is when fresh peppers are needed, but for us, that’s pretty rare. Onions can be frozen the same way. There are other ways of storing onions, so for me the main benefit of freezing them is to save time in food prep, or for saving onions that are leftover, for instance, when a recipe calls for half an onion. IF I don’t think I’ll use the other half soon, I go might go ahead and cut the whole thing, then freeze half of it. This entry was posted in Around Rome, GA, Belly Rewards, Saving Strategies, Spotted locally - Finds you can get, Storage and Preservation and tagged freezing bell peppers, frugal living, frugal strategies, inseason, lowering food costs, storing produce. Bookmark the permalink.